I was a little lazy this year for RSPCA Cupcake Day. 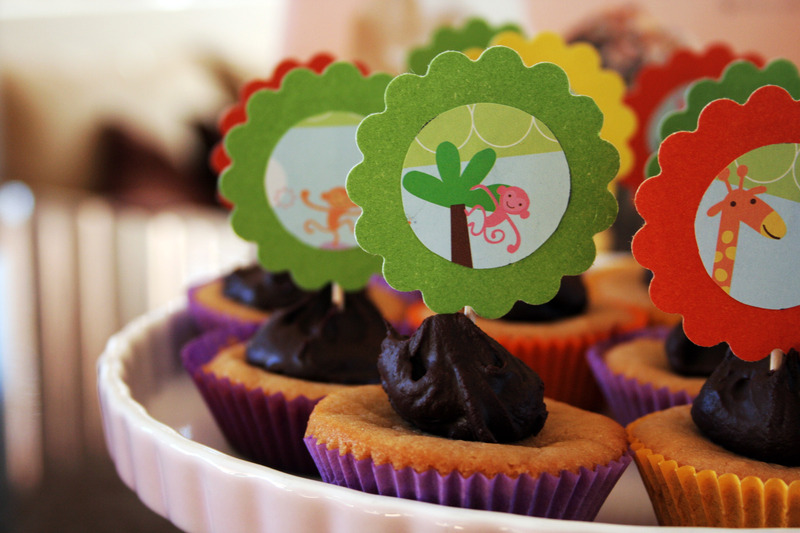 Last year, I spent time decorating animal-themed cupcakes. 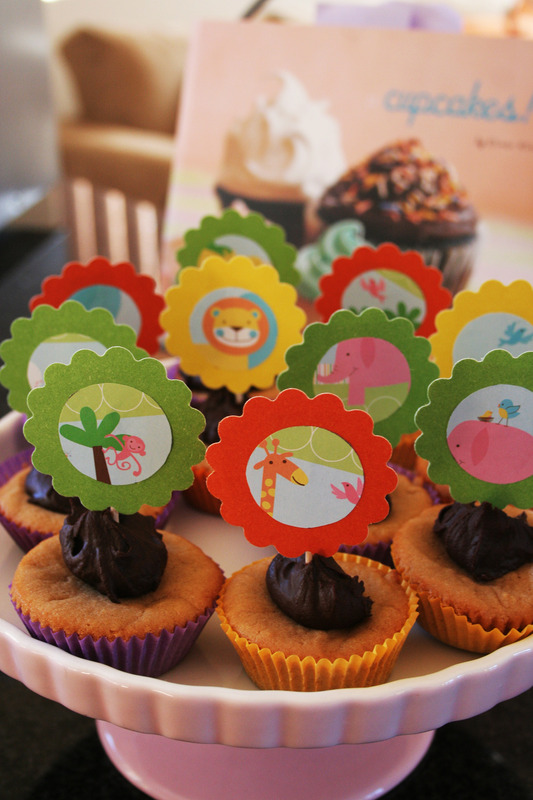 This year, I quickly made these animal-themed cupcake toppers. I like the topper idea; expect to see more of those in the future. The cupcakes are peanut butter-flavoured with dark-chocolate ganache. Next time, I’ll do milk chocolate, as the dark was a little too rich. 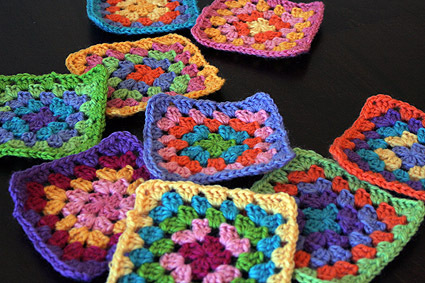 This weekend, I spent time making these nine granny squares. Yes, another new project. This one will be a blanket edged in cream wool, inspired partly by this blanket. Granny squares are addictive. I have trouble stopping once I start. Oh My! Your cupcakes put mine to shame!!! 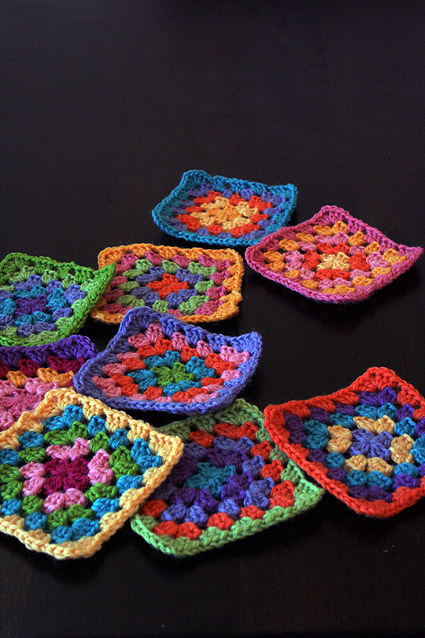 I made brown sugar & cinnamon and Vanilla/Raspberry/cream, both were yummy but didn’t look as nice as yours… Loving the granny squares too! Hooray for peanut butter and chocolate! Those toppers are adorable by the way.